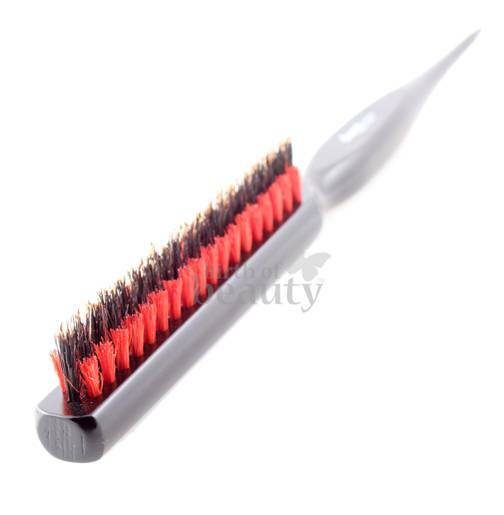 The Diane by Fromm, 3 row Teasing Brush is a designed from lightweight wood. It is fitted with 3 rows of bristles. The central row is boar bristle and is raised above the 2 flanking rows of red synthetic bristle. The boar bristle is great at teasing and backcombing the hair, distributing the hair's natural oils. The brush handle is tapered at the end so it can be used as a pik. The Diane by Fromm Teasing Brush is a designed from lightweight wood. It is fitted with 3 rows of bristles. The central row is boar bristle and is raised above the 2 flanking rows of red synthetic bristle. 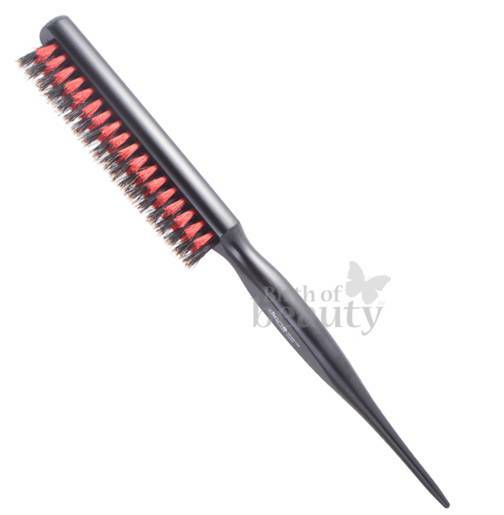 The boar bristle is great at teasing and backcombing the hair, distributing the hair's natural oils. The brush handle is tapered at the end so it can be used as a pik.